Properties in Sandberg average 4.6 out of 5 stars. Property 75: Apartment Lina in Bad Kissingen, 2-room, for 1-3 guests, close to the center, WLAN. 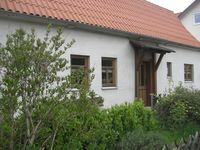 A lovingly renovated, detached farmhouse in a quiet location. Property 91: A lovingly renovated, detached farmhouse in a quiet location. Kur & u. Holiday in the beautiful Bad Kissingen, an oasis for body, spirit and. Soul. Property 92: Kur & u. Holiday in the beautiful Bad Kissingen, an oasis for body, spirit and. Soul. Warm hospitality and beautiful home! Hosts were kind, warm and flexible. The apartment was beautiful and well- maintained and surrounded by beautiful flower gardens. We had a wonderful stay!! Cute place. Great garden. Beautiful arrea.